Patrick Sheridan is one of the most celebrated tuba soloists in his instrument’s history. He has performed more than 3,000 concerts in over 50 countries in venues ranging from the White House to NBA half-time shows to the Hollywood Bowl. At 20 years of age, Patrick became a member of “The President’s Own” United States Marine Band. During his military service, he thrilled audiences across the United States with his amazing virtuosity and musicianship as one of the band’s primary soloists. Since then, Patrick has gone on to become an incredibly diverse artist with concert performances transcending stylistic genres and building fans around the world for his instrument, the tuba. He has been featured in television and radio broadcasts on 4 continents including appearances most recently on NBC’s Today Show and NPR’s All Things Considered and Performance Today. Patrick maintains a busy international career with more than 75 concerts annually with orchestras, bands, and chamber ensembles and in recital. Beyond his busy performing life, Mr. Sheridan’s commitment to education is extensive. His wind students occupy principal positions in major international ensembles including orchestras in Amsterdam, Berlin, Vienna, Rome, Paris, Madrid, Tokyo, Hong Kong, and many others. Mr. Sheridan has served on the music faculties at Arizona State University, Northern Arizona University, The Rotterdam Conservatory, The Royal Northern College of Music and The Royal Scottish Academy of Music and Drama. 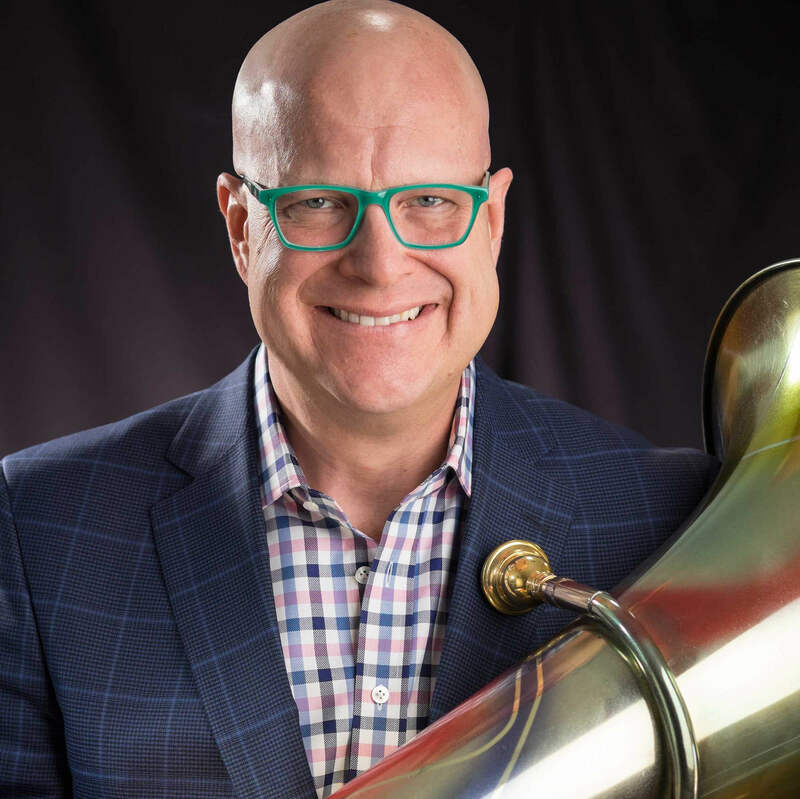 Most recently, Patrick served on the music faculty at the Univeristy of California – Los Angeles where he was the Director of the UCLA Wind Ensemble, the UCLA Brass Ensemble and Professor of Tuba/Euphonium. In the Phoenix community, Patrick is the Music Director of The Salt River Brass. Patrick also frequently works across the United States as a guest conductor with university bands and orchestras as well as high school and middle school all-state and regional honor bands and orchestras. Along with Sam Pilafian, Patrick is the co-author of the world’s best selling breathing method for instrumental improvement, The Breathing Gym which was awarded the 2009 EMMY® Award for Instructional/Informational Video Production. As a composer and arranger, Mr. Sheridan’s music and arrangements have been performed internationally by symphony orchestras, concert bands, marching bands, jazz bands and drum corps. Patrick’s music, arrangements, CDs, DVDs, and books are published by Focus on Music, GIA Publications, De Haske Music, Carl Fischer, Mythen Hollanda and Dillon Music Publishing. Mr. Sheridan has over 20 years experience in the music industry as a design consultant. Instruments influenced by Patrick’s designs are played in hundreds of professional orchestras, military bands and chamber ensembles around the world. Thousands of university, high school, middle school and elementary school students play on instruments in which Patrick has been involved in the design process. He currently works as the Chief Design Consultant for XO and Jupiter Band Instruments. Patrick was a part of the design team responsible for Jupiter’s Quantum Marching Project which introduced five new marching brass models in 2008. Ensembles competing in Drum Corps International and Bands of America as well as collegiate marching bands around the United States are using these instruments with great success. Patrick is a member of ASCAP, an Honorary Member of Kappa Kappa Psi and a Trustee of The International Music Camp. He holds a Master of Business Administration degree with an emphasis in finance and marketing from the University of Michigan and spends his free time with his children, Katie and Jack, hiking and camping in beautiful Arizona.